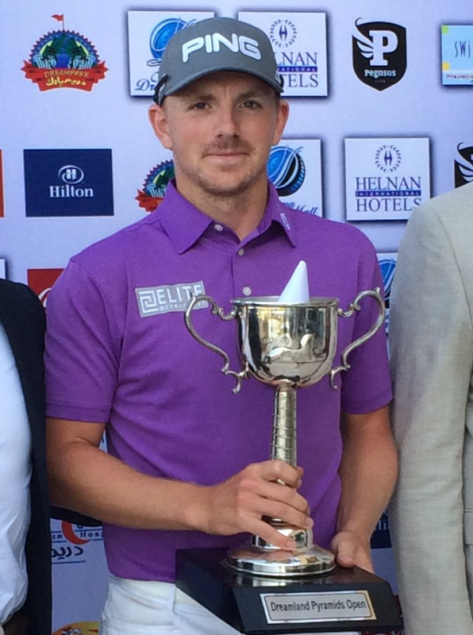 Our rising golf star Matt Wallace (L2002-08) has won his second European Tour event, beating Beef Johnston in a playoff. He nearly won at the 72nd hole when he hit a huge second shot over the water to the 18th green, but then sadly 3-putted so a playoff with Beef ensued. They played the 18th again and Beef laid up with his second shot so was 3 on the green. Matt then sent another big shot on to the green just 15 feet from the hole. Beef then went for his birdie but lipped the hole so ended with a par and left Matt with 2 shots for an epic win.